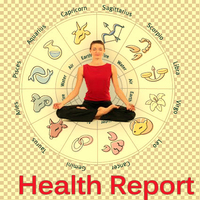 What would you get in this Medical Astrology Consultancy? Detailed Analysis and Timing of disease in the future. If you have already suffering from the disease then the period of good health or it’s re-occurrence and when it can re-occur. I contacted to PT. Vinayak Bhatt when I lost all hope of my life….and after his astrology consultation I felt what I was going to miss if I don’t consult. He told me some remedies and most effective Cosmic meditation… This has been changed my life..so for authentic astrology services, I would recommend always vedicgrace to all my loving ones. First of all i would like to thank Astrologer Vinayak Bhatt for his wonderful guidance and suggesting me effective remedies. Thanks vinayak ji, for introducing me with Cosmic Meditation and its really helped me. Also thanks to his team for vedic yagya.